The organizational structure is the base of every business. It affects relationships between employees, teams and managers, as well as overall productivity. However, reaching efficient and productive structure is only one half of successful business management. What makes the other half is smooth work organization, which mostly depends on office design features. 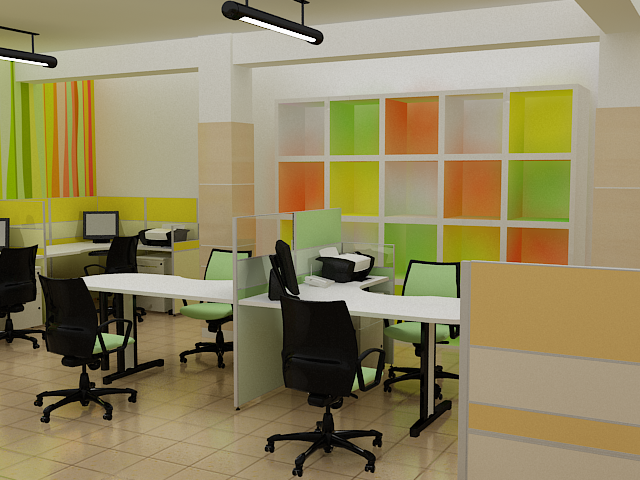 The appearance of your office will play a major role in achieving your business goals. 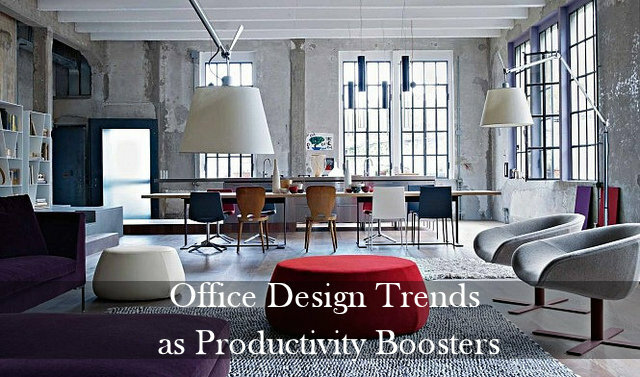 So, continue reading to find out more about some modern approaches to productivity-boosting design. A large number of modern companies adopt new trends in workspace organization, taking an easygoing approach to employees and the time they spent at work. This relaxed policy is supposed to create an atmosphere in which stress at work is almost a taboo. Business owners who manage to arrange their offices in accordance with their employees’ desires and preferences could launch an avalanche of genuine business ideas. To achieve that design and business goal, you should start with a well-equipped lounge area. E-readers, laptops and gaming consoles are only some features you should install here. Moreover, the dining area should be as spacious as possible, to enable your employees to eat and hang out in a relaxed environment. 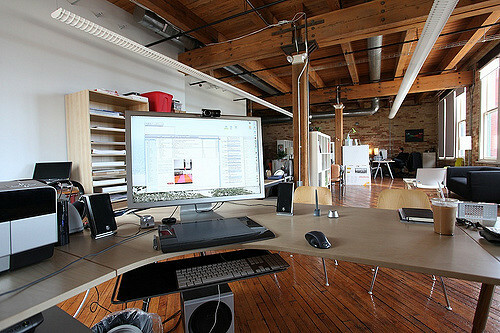 Check out some great examples of cool startup offices to get more fresh ideas for yours. No matter how enormous an influence technology has on our lives, people still are and always will be natural beings. So, the more natural features you place in your office, the better results you will have. According to a recent study, plants do not only increase work productivity, but they also affect employees’ morale. This return to nature can be done in several stages. First of all, try to rent an office that overlooks a park or any other green area. Secondly, fill every free corner inside the office with different plants. Thirdly, you could introduce that rustic ambience of traditional country houses into your office by getting natural furniture items, as timber desks and chairs or vivid flatweave runner rugs. Those features should both help your employees reconnect with nature and introduce something truly organic to your office. At the peak of the yuppie culture of the 1980s, cubicles were an inevitable part of every serious office. However, the development and diversification of IT-companies in the 2000s has caused a shift towards collaborative work spaces. This form of office arrangement is perfect for brainstorming sessions when you need your employees to come up with special concepts. However, your employees also need space and time for themselves. This is why placing them in collaborative workspaces could be an exception when you want them to share their ideas. On the other hand, when they have special individual assignments, they should have more privacy. This is where private work places are more effective solutions, so try to balance your office between those two forms of work. In the line with the aforementioned desire to create an easygoing atmosphere in your office, you should encourage your employees to enrich their workspace with different personal belongings. Family photos, souvenirs from their travels and their favorite books are only some items that can decorate their desks and shelves. Psychologists claim that both employees and employers can have benefits if the former are allowed to mark their workplace with their personal items. This kind of personalization will increase their sense of loyalty and identification with the office and the company. In addition to the trends and ideas presented in this piece, every business owner should listen to their own design instincts. When those ideas are combined with your workers’ ideas and wishes, the final result will be a well-organized, highly productive and beautifully decorated office. Lillian Connors believes that the question of business goes far beyond the maximization of profit through different money-grabbing ploys. As a Senior Business Consultant, she always tells her clients that ethical principles and sustainability should be at the core of every commercial venture, paving the way for much more balanced distribution of wealth on a global scale.